I, like many others, find myself casing the fountain of youth these days...in just a few short days I will be turning the BIG 4-0! 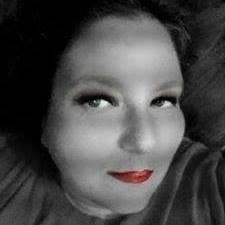 I was cursed as a teenager with oily skin that turned into a blessing as I got older because I do not have wrinkles. But I still want to fight back Father Time and I am using Mother Nature in a bottle. First off I would like to tell you about the great customer service from the company-My shipment was lost in the mail, when I notified the company they shipped me out another bottle asap and it got here fast! 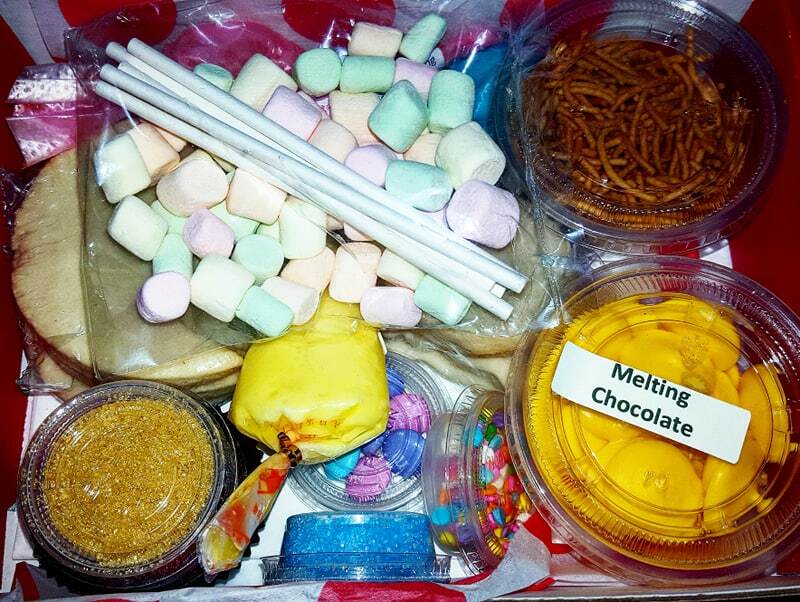 Can you say awesome? When my package arrived it was very well packaged to insure the glass bottle would not become damaged. 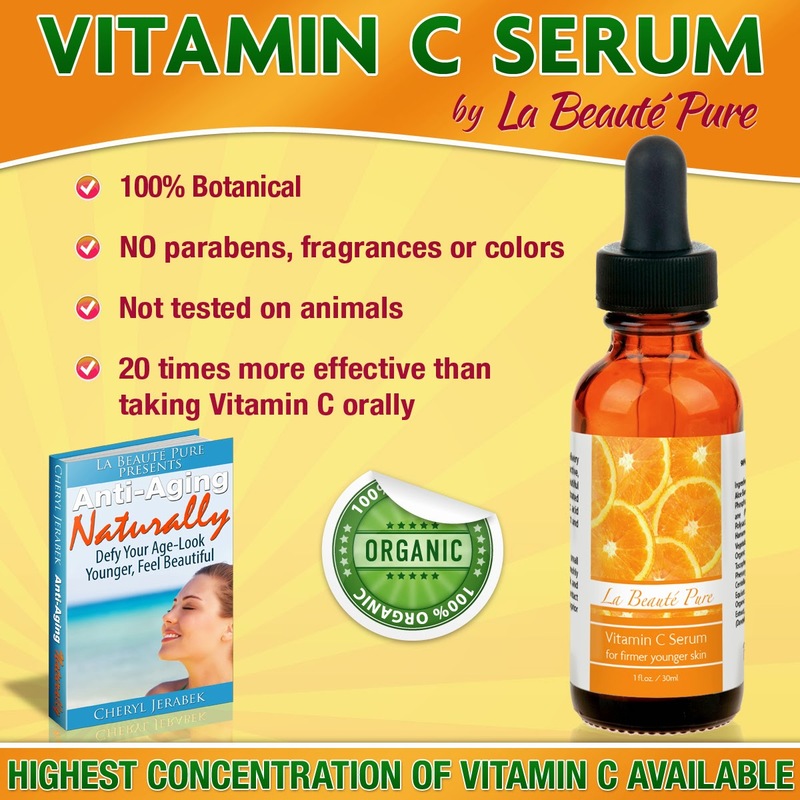 For almost a month now I have been using Organic Vitamin C Serum by La Beauté Pure. I love the fact that the serum comes with an easy to use dropper. It is easy to control the amount of product that I want to use, and a little does a long way. 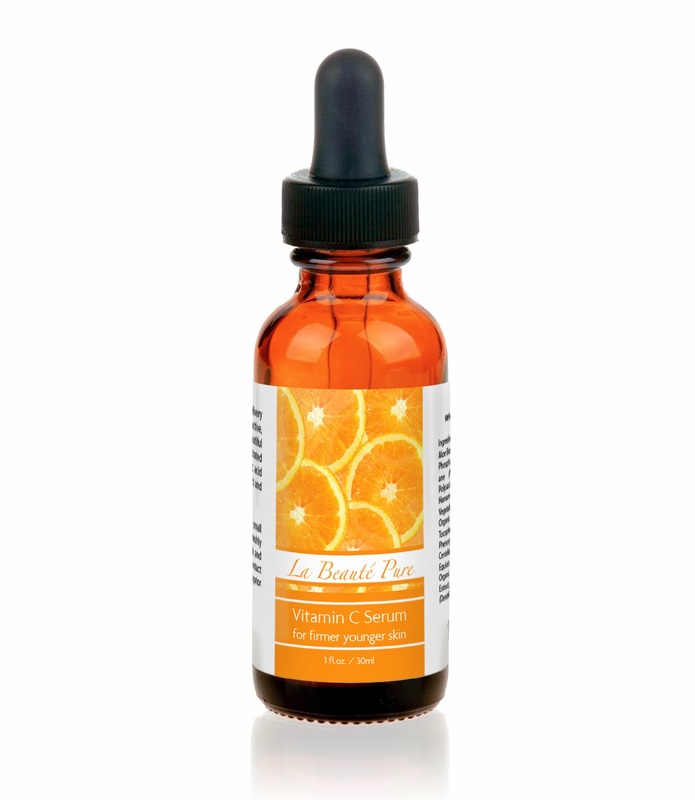 The vitamin C serum goes on smoothly and absorbs quickly. It does not leave my skin sticky or feel like I have a film on my face. So far I am extremely happy with this product my skin feels smoother and looks brighter every week.